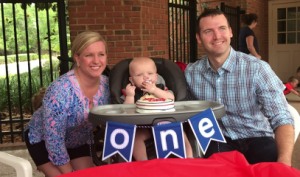 On March 29, 2017, Mike Regan and his wife, Stephanie, celebrated their son’s first birthday. 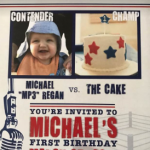 On the preceding Saturday, they hosted a boxing themed birthday party which was attended by family and friends and featured cookies decorated as boxing gloves as party favors. 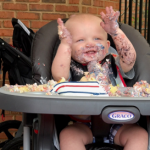 After a slow start, Michael Patrick Regan, III, unleashed a furious barrage, mauling the cake, scoring a decisive victory! 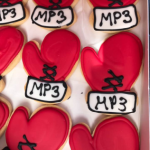 In lieu of gifts, guests were asked to bring a new toy to donate to Wolfson Children’s Hospital, yielding more than $200 worth of donated toys. 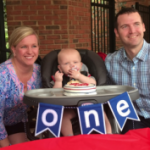 It was a joyous occasion for Mike and Stephanie, who are enjoying the experience of raising their son and are looking forward to many more special occasions in the future.